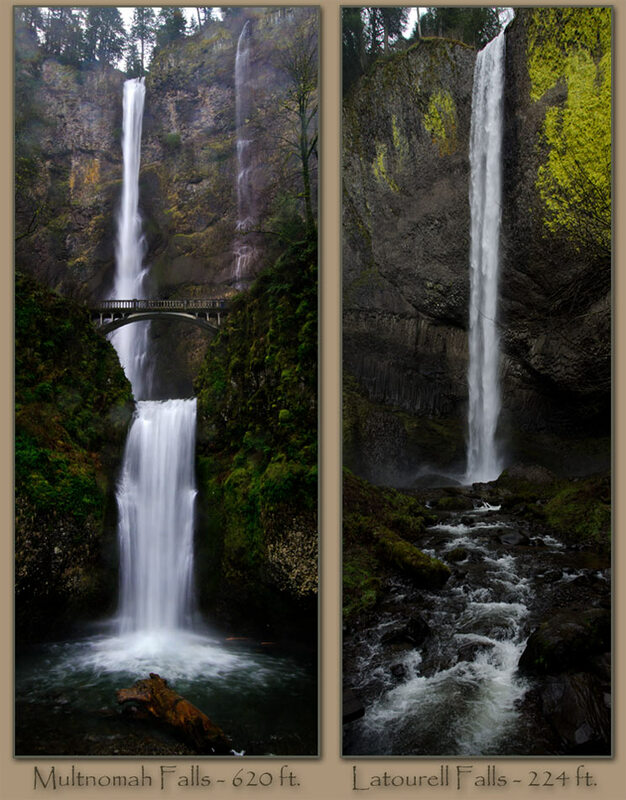 Ice Age Floods National Geologic Trail - Multnomah Falls. View from the top of Multnomah Falls. 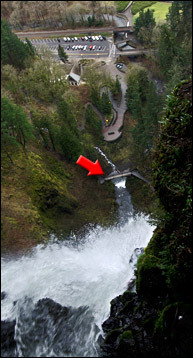 Arrow marks bridge between upper and lower falls. Columbia Gorge National Scenic Area.